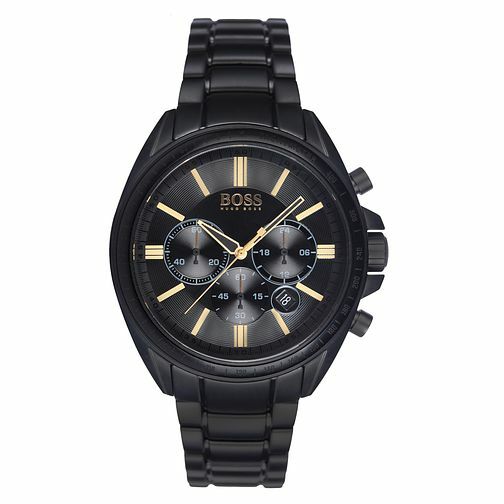 Combining sporty with sophistication, this sleek men's timepiece by Hugo Boss is the perfect accessory for the modern man. Featuring an ion-plated case and bracelet, black dial, tachymeter bezel, and logo branding. Easily readable hour markers and hands makes time-telling simple even at just a quick glance, a handy date display also sits at the 4-o-clock position, and three subdials allows for tracking subdivisions of time.